BMG Chrysalis has signed songwriter Drew Ramsey. Ramsey and production partner Shannon Sanders are a Grammy-winning team with hit songs recorded by artists including India.Arie (“I Not My Hair,” “The Truth”), John Legend (“Good Morning”), Jonny Lang (“Turn Around”), Nicole C. Mullen (“Dancin’ In The Rain”), and Robert Randolph and the Family Band (“Ain’t Nothin’ Wrong With That”). Ramsey is part of the songwriting program at Nashville’s Belmont University. 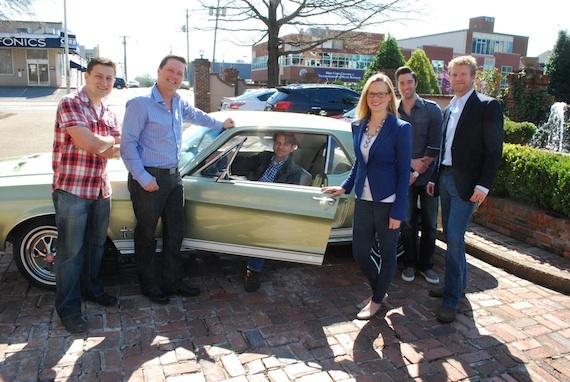 Pictured (L-R): Daniel Lee, John Allen, Drew Ramsey, Sara Johnson, Kevin Lane and Kos Weaver.